Your affordable, local technology solutions destination. We are two motivated individuals that saw a lack of motivated technology repair opportunities in our community. We started to give small businesses and people a better, more personalized option: one that focuses on the client's needs, not their wallet. We like to build relationships with our clients. We ask questions to better understand your goals and help you achieve them. Your success is our success. We want to help you succeed and we'll go the extra mile to make sure you understand your technology and how to get the most out of it. We strive to give you the best experience possible. Part of that experience is getting your problem solved as quick as possible. Most of our repairs are completed within a day, and in the off-chance they're not, we'll keep you posted so there won't be any surprises. We take pride in our work. We don't hide behind a big brand or bureaucracy. We identify needs and find solutions. We have over 15 years of combined experience working for you. What's better than getting world class service? Being able to afford it. You don't need to buy the crown jewels to be treated like royalty with us. Our prices are lower than our competition because everything is done locally. We don't have to send money up to the corporate office. Your money stays right here, in our community. We offer a unique experience for our business subscribers. Full IT Department treatment, without the extra price tag that goes with it. Ask us how can we help your business succeed. Looking for a new computer? Just got something new and not sure how to use it? Look no further. We do the research so you don't have to. We keep up to date on all the latest gadgets and software so we're primed to answer your questions. Every day, thousands of new computer viruses are reported. Getting one is nearly inevitable. If you've fallen victim, let us get you back on your feet. Need more space? Memory? Hard Drive? RAM? Video Cards? If any of those seem unfamiliar, it's not your fault. There's so many thousands of options when it comes to upgrades. Let us help you choose what's going to work best for you and get it installed and working, right away. Need to upgrade your operating system? Or just want to reset your computer to the day you got it? No problem. We'll install the new operating system and get all your hardware recognized and reinstalled. Is your computer just not running as fast as it used to? It may be time for a tune up. During this, we clean out the metaphorical "dust" (along with the real dust) to get your computer running to its maximum capacity. Not sure what the problem is? We can run a full test of diagnostics to pinpoint the problem. If your problem hasn't been described yet, don't fret! This isn't a complete list of what we can do, but more of a summary of generalizations. Give us a call and ask! These gentlemen are the best. Very determined to fix your problem. I had a very stubborn issue with my computer and they stayed on it until the situation was taken care of. Many thanks to you both! This is the first and only place I call whenever I need anything for my computers. Anytime I call, I can count on my problem being fixed. Drop us a line with any questions, comments or concerns. 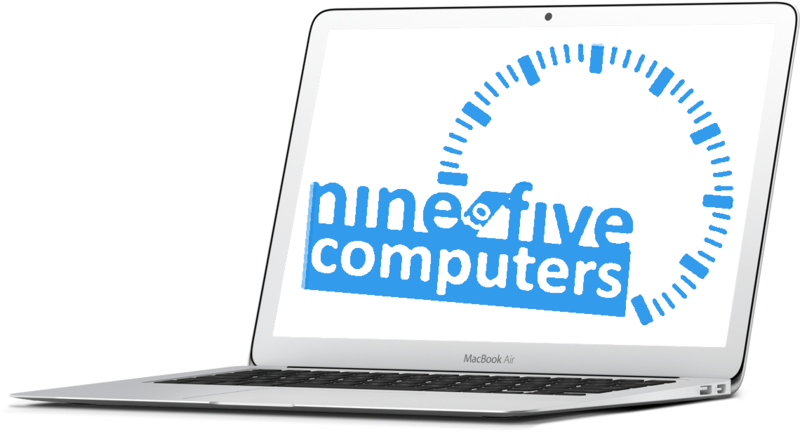 Copyright © 2015 Nine to Five Computers.